Loló Soldevilla, an artist and catalyzing presence in Havana during the 1950s, presents a fascinating figure through whom to revisit this decade and the phenomenon of Concrete Cuban art. Photographed together in April 1949, Loló Soldevilla (1901–71) and José Gómez Sicre personified the optimism and ambition of Cuban art at the turn of the decade. The newly appointed Chief of the Visual Arts Section at the Pan American Union in Washington, DC, Gómez Sicre had facilitated the landmark exhibition Modern Cuban Painters, organized by Alfred H. Barr, Jr. at the Museum of Modern Art five years earlier, and emerged as a leading champion of Cuban art in the United States. 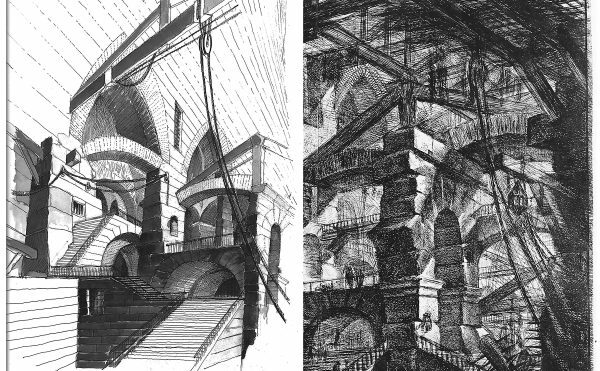 Meanwhile, en route to Paris to take up a post as cultural attaché at the Cuban Embassy, Soldevilla would soon play a principal role in the evolution of concretismo in Havana, enfolding geometric abstraction within a national narrative of freedom and, eventually, of revolution. The transatlantic horizons of Cuban art appeared endless in the 1950s, as an emerging generation of artists leveraged abstraction in their pursuit of universalism and of a place in the international avant-garde. Their history was largely forgotten in the post-utopian decades that followed, and the remarkable legacy of Soldevilla—no less, of “Concrete Cuba”—has only recently returned to light. Amid the enduring preoccupation with geometric abstraction across the Americas, the recuperation of this lost generation—and of Havana as a site of postwar Constructivism—comes as an important historical corrective. Concrete Cuba, a pair of exhibitions at David Zwirner in London (2015) and New York (2016), marked the first comprehensive display of these artists outside of Cuba, and its catalogue (to which I contributed an essay) provides an essential visual and documentary record of the movement. The timing could hardly have been more fortuitous. The present ubiquity of Cuban art, prompted in part by the easing of the 56-year-long US trade embargo, has turned a new, international gaze toward Havana and its ever-effervescent contemporary scene. Twentieth-century masters Wifredo Lam and Carmen Herrera are finding new audiences this fall at Tate Modern and the Whitney Museum of American Art, respectively, and the exhibition Adiós Utopia: Dreams and Deceptions in Cuban Art Since 1950, opening next year at the Museum of Fine Arts Houston, promises to showcase the still lesser-known artists of Cuba’s revolution. As Cuban art reenters global histories of modernism, the significance of the 1950s — as a hinge between its pre- and post-revolutionary years — looms large. Soldevilla, an artist and catalyzing presence in Havana during this time, presents a fascinating figure through whom to revisit this decade and the phenomenon of Concrete Cuban art. 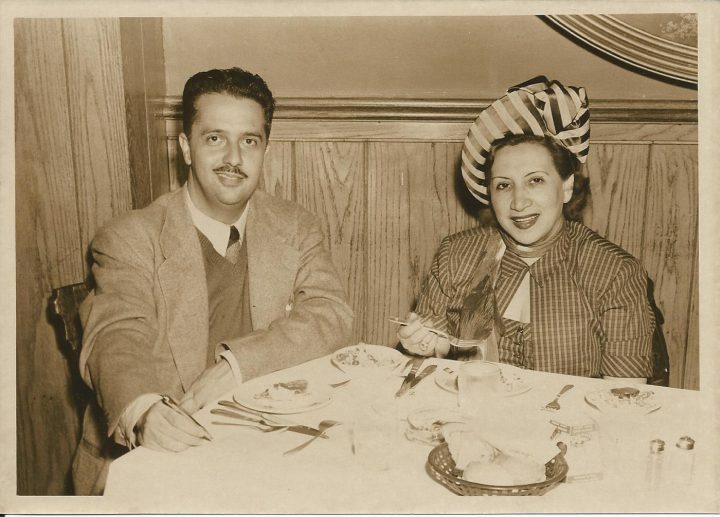 “I believe that Cuba’s art movement is the strongest in America,” Soldevilla declared in a headline that appeared in the New York daily La Prensa on May 22, 1949, on the eve of her departure for Paris. A precocious statement, to be sure, coming just months before LIFE magazine famously posited Jackson Pollock as the greatest living painter in the United States and amid the ascension of American Abstract Expressionism. Soldevilla spoke confidently about the show she planned to organize in Paris, one in which the universalism — no less, the “Americanness” — of Cuban art would command an international stage. Her vision materialized in Art cubain contemporain, which opened at the Musée National d’Art Moderne in February 1951 to glowing reviews. Encompassing work by 24 painters and three sculptors, the exhibition presented a sweeping retrospective of modern Cuban art that stretched from the first vanguardia generation of 1927, among them Lam and Amelia Peláez, to such mainstays of the Havana School as Mario Carreño and Cundo Bermúdez. 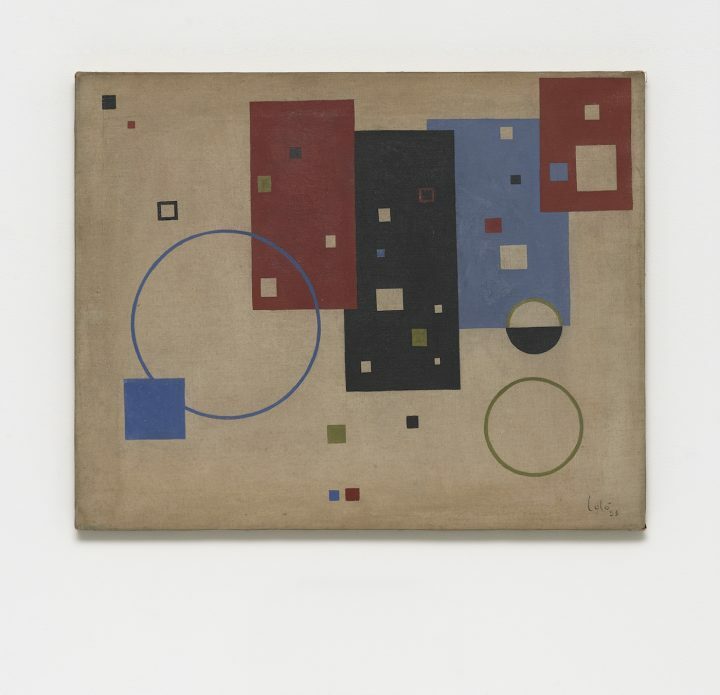 Soldevilla also included work by a rising generation represented by the young Herrera and Wifredo Arcay, both newly working in a geometric mode. Soldevilla contributed five of her own works, among them “Rythme,” which displays the expressive vigor and figurative character of her earliest reliefs. 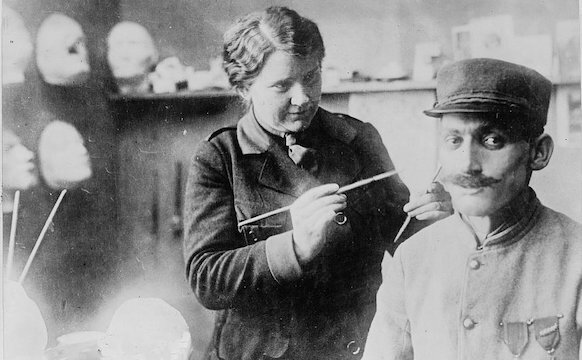 A late-blooming artist, she had first begun to paint in 1948; following studies with Ossip Zadkine at the Académie de la Grande Chaumière, she enrolled at the Atelier d’Art Abstrait, founded by Jean Dewasne and Edgard Pillet as an experimental and educational space for the technical study of painting. 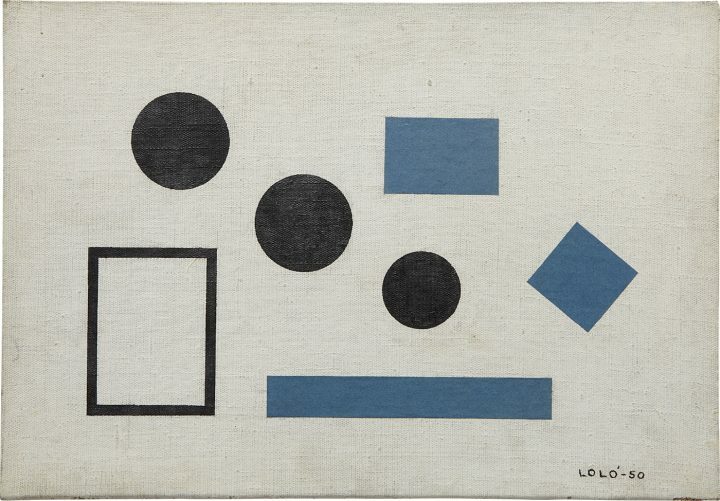 The Atelier facilitated dialogues between School of Paris luminaries and its students, and Soldevilla came into contact with such artists as Jean Arp and Victor Vasarely, whose examples instigated a new phase in her work. “Let us approach our creative project with the emotion that produces painting,” she declared in a 1957 exhibition brochure, “cementing our work with honesty and discipline to express an eternal present” (emphasis hers). Soldevilla embarked down the path of abstraction by the early 1950s, and over the course of about ten years she produced her most important body of work. Collages from this period analyze the geometries of circles, triangles, and rectangles, suggesting visual rhythms through the variation of shapes and colors and sometimes explicitly acknowledging key figures of the modernist avant-garde, among them Arthur Rimbaud, Kazimir Malevich, Franz Kafka, and Theo van Doesburg. 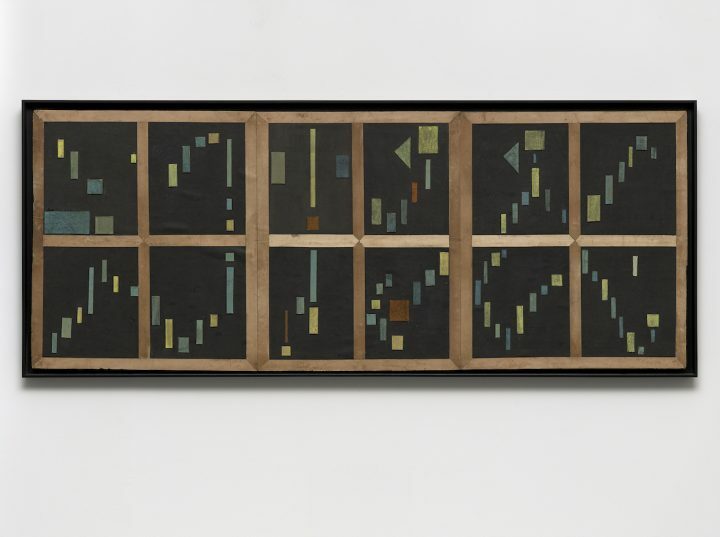 The collages prefigure her signature constructions in wood and metal, which engage spatial relationships through basic geometries set in two and three dimensions: lines and planes, circles and cubes. 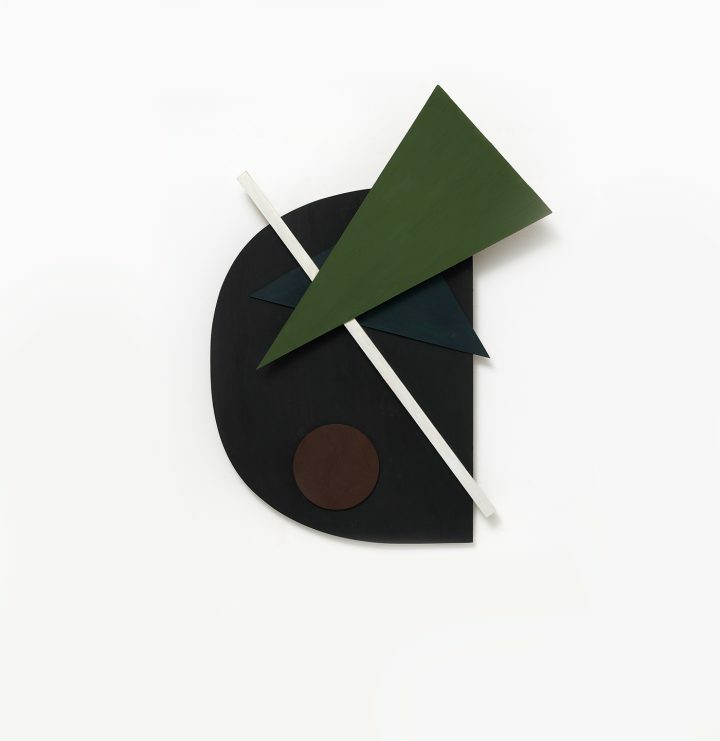 Soldevilla cites Malevich in “Sin Titulo” (1955), in which the spatial effects of overlapping color are dramatized in contrasts of scale and shape: along opposing diagonals, the green triangle flies downward and the white rectangle recedes; the brown circle echoes the curving edge of the black ground. The revolution of the circle is hypostatized multiple times against the square in another relief, “Untitled (Abstraction)” (1957), in which the optical convergences of four circles render the sculptural surface into a modular perceptual field, each cylindrical block projecting a different relationship between material, light, and shadow. In another work, “Sin título,” the underlying grid becomes a relief element, given material form in the metal grating positioned in front of the black ground. The grid defines the space of the object between the ground and the wood relief elements both affixed to, and suspended within, the metal screen. During her time in Paris, Soldevilla had solo exhibitions at Galerie Arnaud and Galerie La Roue; with the Spanish Kineticist Eusebio Sempere, she presented their collaborative relieves luminosos (“light reliefs”) at the Salon des Réalités Nouvelles in 1955. On returning to Havana the next year, Soldevilla reprised the proselytizing role that had led her to Paris, this time by cultivating a home-grown generation of artists who shared her commitment to the social, progressive ideals of abstract art. 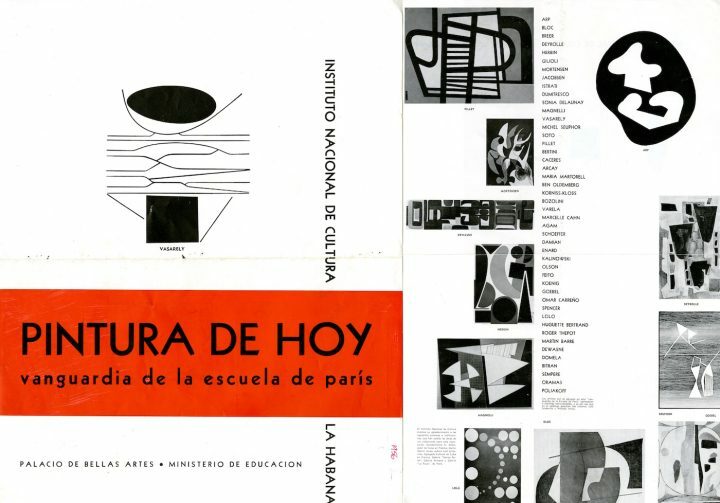 Among her first initiatives was the exhibition Pintura de hoy: vanguardia de la escuela de París (“Painting Today: The Vanguard of the School of Paris,” 1956), a sweeping introduction to historical abstraction comprised of works that she brought back with her to Cuba. A retrospective of her recent geometric work followed in 1957, and by the end of the year she and fellow artist and poet Pedro de Oraá had founded the Galería Color Luz. The gallery mounted a series of didactic exhibitions — e.g., Homenaje al pequeño cuadrado, a nod to Joseph Albers’s iconic series Homage to the Square, and El arte abstracto en Europa (“Abstract Art in Europe”) — and, most meaningfully, incubated the group of artists who came to be known as “Los Diez Pintores Concretos” (or “The Ten Concrete Painters”) following their eponymous debut exhibition at the gallery in November 1959. Soldevilla’s advocacy of Concrete art — that is, art with no basis in the natural world and no symbolic content, following van Doesburg’s definition — galvanized the Cuban vanguardia, giving new visibility to the movement that had first arrived in Havana at the start of the decade, led by the Romanian émigré Sandú Darié, Mario Carreño, and Luis Martínez Pedro. “Los Diez” exhibited three times before disbanding in 1961, a tacit acknowledgment of the group’s peripheral and diminished place following the revolution. Their presentation of A, a volume of serigraphs in support of the national literacy campaign, at the Feria de arte cubano (Cuban Art Fair, 1961) marked the last formal activity of the group and spelled the symbolic end of Concrete Cuba, its idealism displaced by the grittier social reality that soon took hold across the arts and otherwise. As the concretos ceded the limelight in the early revolutionary going, Soldevilla turned increasingly to literary and other pursuits. 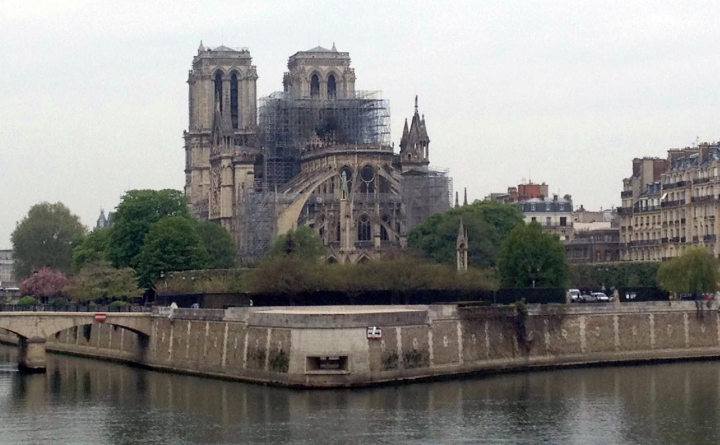 In 1963, she published a memoir of her Paris years, Ir, venir, volver a ir: crónicas (1952-1957) (“Going, Coming, Going Back: Chronicles, [1952-1957]”); other works include El Farol (“The Lantern,” 1964), a laudatory novel of the literacy movement, the ballet Filo diez mil (“Ten Thousand Edges,” 1965), and the plays Bombardeo (“Bombing,” 1965) and Samuel dos veces (“Samuel Two Times,” 1965). 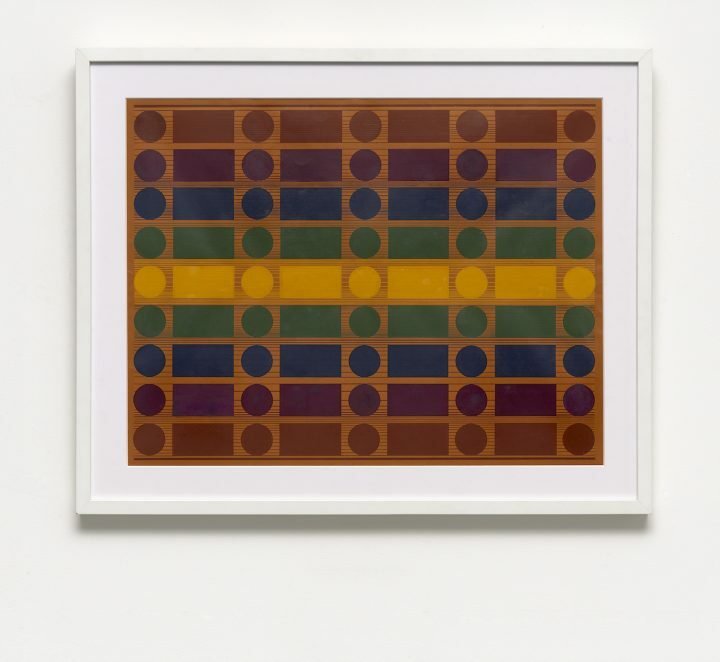 Soldevilla exhibited infrequently after 1959, but after decades of relative obscurity her work has begun to surface in generational and group shows, including Sotto Voce (2015) at Dominique Lévy in London and Diálogos constructivistas en la vanguardia cubana (2016) at Galerie Lelong in New York. 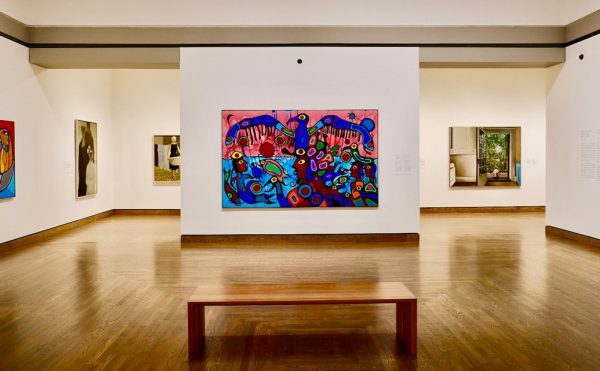 This recognition of her work follows the current crescendo of interest in Cuban abstraction and holds promise for new research in what has long been a neglected area of study. 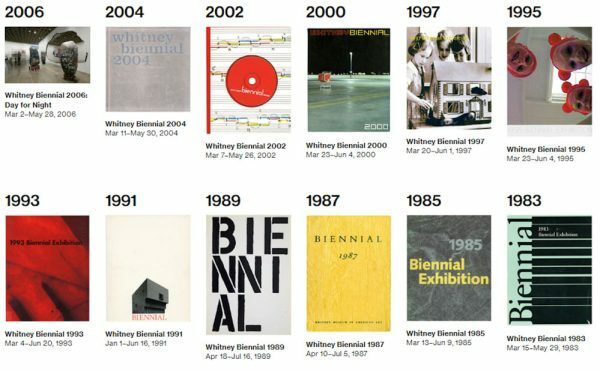 Inasmuch as the 1950s marked a heyday of Cuban art, the aspirational promise of the decade — one nurtured by Soldevilla and, in the United States, by Gómez Sicre, whose legacy is itself just beginning to be appreciated — may finally be fulfilled in the coming years as the old ideological barriers begin to fade. A revolutionary figure in her own right, Soldevilla bridged historical and contemporary abstraction from Paris to Havana, and her work as an artist and apostle for Cuban modernism remains a testament to the creativity and resilience of Havana’s historical avant-garde. The author’s new book on Cuban modernism, Revolutionary Horizons: Art and Polemics in 1950s Cuba, is out now from Yale University Press.